Apex Legends is a battle royale game borrowing concepts of the hero shooter, taking place 30 years after the events of Titanfall 2. Apex differs from most battle royale games by incorporating Legends, pre-defined heroes with unique abilities that fall into roles such as Offense, Defense, Support and Recon. Players are grouped into squads of three, each player selecting a unique Legend in turn, and each match features up to 20 teams competing. All teams start with no equipment and are flown over the game's map via dropships from a random direction from which they drop onto any spot on the map they can reach. Teams scour the game map for weapons, ammunition, and other equipment while fighting to be the last team standing, all while staying within an ever-shrinking safe zone on the map. A player can be downed into a vulnerable bleed-out state, leaving them only able to crawl for cover or reach a squadmate, who can revive them. If the player bleeds out, or an opponent uses a finisher move on them, they are then eliminated, dropping their equipment to be looted and a banner. The player can potentially be respawned if their squadmates recover this banner and take it to a Spawn Beacon, scattered on the map, in a limited amount of time. Apex features both voice-chat communication with squadmates and a contextual single-button communication approach that allows a player to ping map features like weapons, opponents, or rally points. Apex Legends is free-to-play and supported through microtransactions, giving the player the opportunity to customize their selected character through numerous cosmetic items for Legends and weapons, voice lines, and in-game banners. New cosmetic items can be earned from opening Apex Packs, the game's version of loot boxes that contain a random assortment of rewards, or spending the in-game currency Crafting Materials, which are gained through Apex Packs. Apex Packs are freely earned as the player gains experience levels. 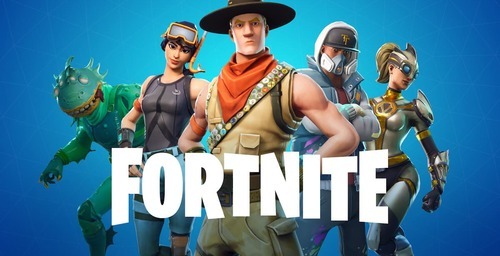 Additionally, players freely gain Legend Tokens for playing matches as well as for leveling, which are used to unlock new Legends and certain cosmetic items. A final currency, Apex Coins, is bought with real-world funds and can be used to buy Apex Packs, unlock Legends, or purchase specific cosmetics. Respawn plans to offer battle passes in the game's future which reward players with new seasonal cosmetic items by completing in-game challenges.